For a very simple way of renewing your certificate for IIS 7 please see the SSL Cert Renew Util for IIS 7 page. This guides you through creating a new CSR, installing the certificate, and much much more. 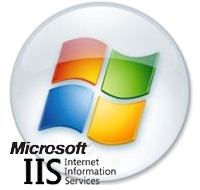 Open the IIS Manager by going to Start > Administrative Tools > Internet Information Services (IIS) Manager. Under Connections click your server's Hostname. In the center window pane, scroll down to and Double-Click the Server Certificates icon. Common Name - Typically the domain (e.g. www.yourdomain.com) computers will connect to this server with. Organizational unit - Your organization's department name (If you don't know what to put just enter 'IT'). City/locality - The city/municipality where your organization is located. State/province - The state where your organization is located. Country/region - Your country's abbreviated two letter country code. Choose Microsoft RSA SChannel and 2048 and then click Next. Save your CSR file to a location. Then open this file in in Wordpad, hit (Ctrl+A) and (Ctrl+V) to select all and copy the contents to the clipboard. Now login to your DigiCert account. Under the "My Orders" tab, click + to expand the options for order you would like to renew, then click the Renew link. Follow the instructions to place the order with DigiCert to renew your SSL Certificate. Save your certificate file to the IIS server that the CSR request was generated from. Open the IIS Manager and on the left side click on your server's name, and in the center window pane scroll down to Server Certificates and open it. Click ... to browse to the .CER certificate file DigiCert sent you, and give the certificate a Friendly Name to help you refer to this certificate by in the future and click Ok.
"Cannot find the certificate request associated with this certificate file. A certificate request must be completed on the computer where it was created." "ASN1 bad tag value met". If you created the CSR (AKA pending request) for the certificate you are installing you can ignore this error, close the dialog box and hit the "F5" key to update the list of available installed certificates. If you can see your certificte with the friendly name you just assigned, click to go to the next step. If your certificate isn't listed please contact DigiCert support for assistance. Under the Connections window pane, expand your server's computer name, then click the Site that you want to enable SSL on. In the Actions menu click Bindings... then select the binding for https and click 'Edit'. In the 'SSL certificate:' drop-down menu select your newly-installed SSL Certificate by it's friendly name, and click Ok. Your new SSL Certificate should now be installed to your server. IIS 7 Host Headers. For help with your cert installation or troubleshooting, try our new Windows SSL management tool. How to install your SSL Digital Certificate to Windows Server 2008.